Running on empty . . .
On Sunday I started and finished my first triathlon at Centennial Park in Ellicott City. The swim was wonderful. It was slightly less than a mile in distance and the water was warm. The 56 mile bike ride that came next went better than I had expected. I had trained on the course several times over the summer and knew it well. I got off the bike three and one half hours after I started the swim and all that was left was a 13.1 mile run. By this time I was exhausted. My back was sore and it was way too hot to be jogging through hilly Ellicott City. I would spend almost as much time as it had taken to complete the bike course to finish the run. As I slowly jogged, mile after mile, I found myself thinking back to the first time I had to run a race against a clock. It was during the summer of 1979 when, rather than return to lifeguarding, I volunteered to attend two weeks of training with the 101st Infantry Division at Fort Campbell, Kentucky. On the first day we were organized into a Company composed of two Platoons and for some unknown reason I was made a Platoon leader. Three other ROTC cadets from Dillard University were also given leadership positions. 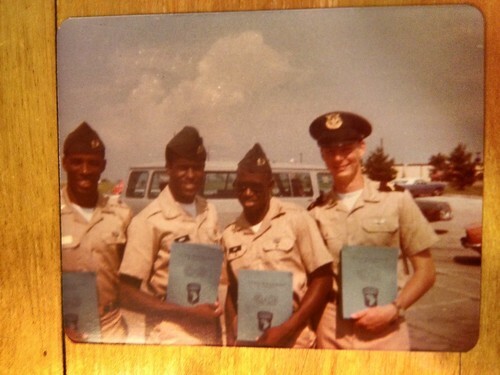 Parnell and John were two of my squad leaders and Dave, a senior at Dillard, was made Company commander. The four of us were put in charge of front line infantry troops serving with the 101st and none of us knew what we were doing. Early on the Drill Instructors punished our mistakes by making the four of us do push ups. When our performance didn’t improve, they made everyone under our command join us, which only made our jobs harder as we quickly lost the confidence of the soldiers we were supposed to lead through formations and march to training. I was overwhelmed and in way over my head. I thought I had signed up for a couple of weeks of rappelling out of helicopters and instead found myself being ridiculed at every turn. I remember standing in line for the pay phone, using a handful of quarters to call home to tell my dad in a shaky voice that I didn’t know what I was doing. There was nothing he could say during that call to make me feel better. Dave caught the brunt of the Drill Instructors’ harassment but, unlike me, he never let it get to him. He knew he was doing it wrong, but rather than make excuses or feel sorry for himself he worked to get it right. Over the next week the four of us became friends. We borrowed a copy of the Army’s field manual on “Drill and Ceremony” and learned the proper way to organize a formation and to march troops. Eventually the push ups stopped and we settled into Army life. In our free time we would play pick up basketball at a nearby enlisted-mens’ gym and John would try, without much success, to improve my jump shot. We talked about our plans for the future. They all wanted to be infantry officers. I hoped to go to law school. Parnell was already a father. I had not yet had a girlfriend. There were silly rules that we were made to follow during the course, one of which was that only people who had passed the course could walk on the bridges over the many ditches that surrounded the training facilities. Every day we would come to a perfectly nice bridge, pass it by and instead run through a ditch or jump across a stream. And each time we did, John would proclaim that he was going to dance across the first bridge he came upon after we graduated. 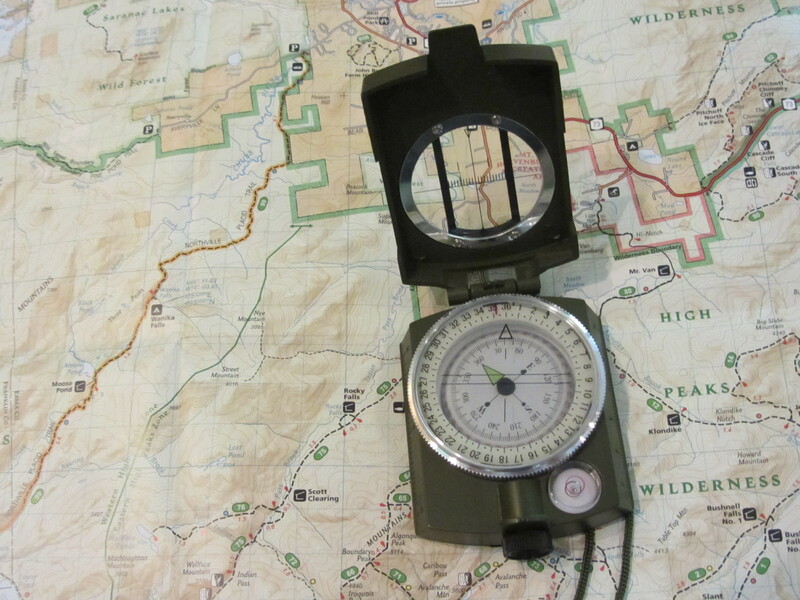 The course consisted of a series of graded exercises and we needed to earn a certain number of points to pass. As the end of training approached, Dave was short on points. The last exercise was a 10 mile march in full gear that needed to be completed in less than four hours. The faster you finished, the more points you earned. In order to pass, Dave would need to finish the march in about two hours. I had plenty of points and could have walked the ten-mile course and still graduated. Instead I learned about loyalty to friends that day and when Parnell and John declared that they were going to run the course with Dave, I decided to join them. Together the four of us ran in fatigues and combat boots, carrying rucksacks and fake M-16s made out of hard rubber. It was June, we were in Kentucky, and it was really hot. It was hard work and from time to time Dave, Parnell or I would drop back and John would encourage us to keep up so we could all dance across those bridges. I don’t remember what our time was when we finished that run, but later that day we all graduated together and John celebrated by dancing across the first bridge we passed. I would never lead troops again during my military career, but would instead become a lawyer assigned to the Secretary of the Army’s staff. I never saw Dave, Parnell or John again after these pictures were taken and I don’t know what became of them, although I’m certain they each made fine infantry officers and served the Army well. 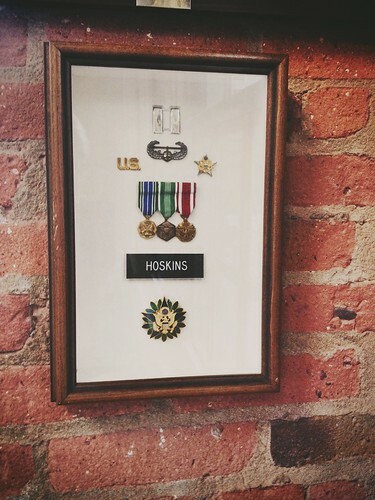 The badge I earned that hot day in Kentucky is hung on my office wall. 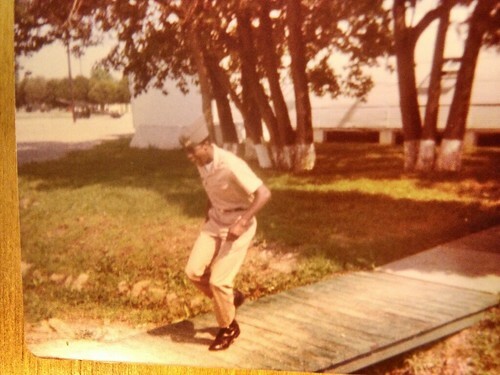 I cherish it along with the memory of the three cadets from Dillard who taught me the value of teamwork, friendship and loyalty on a long and hot run in June of 1979. I eventually crossed the finish line six hours and ten minutes after I started the swim. I sat down, drank a Gatorade and wished there was a bridge nearby to dance across. 3 responses to Running on empty . . .
well done, you crazy 19 year old. Thanks, Bob. I’m looking forward to our next ride together and restoring “regular order” with me bringing up the rear.